After spending a week in Cannes earlier this month at TFWA's annual Travel Retail exhibition, I have come to the conclusion that those predicting a healthy future for GTR have - if you'll excuse the obvious idiom - their heads in the clouds. During one week in February, just-drinks ran two comment pieces, each taking wildly different views of the Global Travel Retail channel. The first was profoundly downbeat, warning that the industry is in the doldrums amid falling sales and needs to adapt to changing consumption habits and the rise of e-commerce. The second was far more positive. Yes, these are turbulent times, it said, and companies are struggling. But, global growth in passenger numbers should allay these fears. As it stands, the GTR model that the industry clings to is as good as broken. One senior executive I spoke to estimated there may be as few as four years left until the current system collapses. We are at a "tipping point", I was told, and unless it changes fast, the channel is lost. 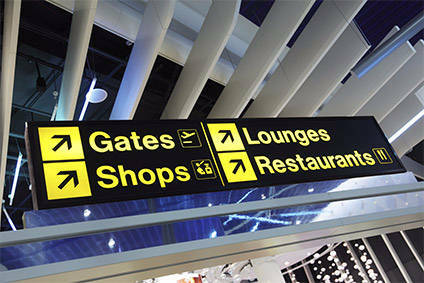 Airport authorities - what the industry calls landlords - are increasingly leaning on GTR sales to make ends meet. Meanwhile, suppliers and retailers - the other two links in the channel's chain - are finding it harder to pay the rent. Between 2005 and 2014, the percentage of non-aeronautical revenue extracted from each passenger rose by 5% each year, according to GTR's dominant retailer, Dufry. Passenger numbers might be growing but shopping spend is increasingly being raided by the airports, and margins are stretched paper-thin. It is a process described by some as the "Walmartisation" of Travel Retail. A more apt analogy would be the havoc wreaked around the start of this century by the large off-premise retailers on the wine industry in the UK. The supermarkets' focus on driving down prices not only spelled the end for a number of high-street wine store chains, it hammered the broader industry as margins were pared to the bone. Recent large-scale consolidation by global travel retailers (Dufry now controls a quarter of the market) have suppliers worried that the same could happen in an industry that is already considered the toughest commercial prospect in alcohol. 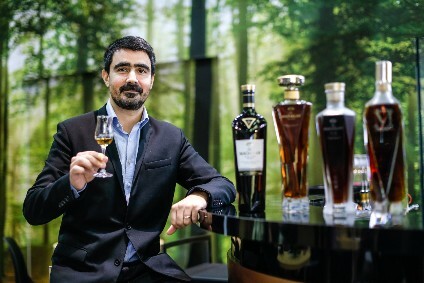 "With some retailers, there is almost a Tesco-isation of the Travel Retail market, where they are more focused on pure rotation and lower-end promotion," says André de Almeida, William Grant & Sons' former European TR director who now heads the channel for Scotch whisky distiller Loch Lomond Group. According to de Almeida, brand owners look to GTR for its access to international consumers and the chance to "bring brands to life". "The more like Tesco you become," de Almeida says, "the less you can do that. And, the more pressure on commercials, the less money you have to work on activations, which is what you want to do." So, how will Travel Retail's demise come about? With margins diminishing, GTR is starting to make less financial sense for lower-priced products. As a CEO of a gift-with-purchase company told me: "It's just not worth being in GTR for brands under US$50." Remy Cointreau's US$24,000 bottles of Louis XIII may still generate profits, but higher-volume players will no longer see commercial sense in selling brands. Add to this the usual logistical nightmares of your regular Travel Retail trade - where trucks can regularly wait four days to unload because of bureaucratic snafus - and alcohol brand owners may soon consider the channel no longer worth the hassle. It should be noted that, publicly at least, these brand owners show no signs of packing up shop yet. Diageo's new TR head, Dayalan Nayager, believes the Tesco-isation fears are "a bit dramatic". Two of Pernod's regional TR heads told me that despite a current slowdown, the long-term future of the channel remains strong. Even de Almeida, despite his concerns, has enough confidence in GTR to take on the longer-term project of bringing the Loch Lomond brand into the channel for the first time. However, be assured they are all working behind the scenes to change the entire fabric of Travel Retail, and turn it from a vast monolithic entity stuck in the past into a more fluid and dynamic shopping experience. For years, the USP of airport GTR – the biggest segment of GTR trade - boiled down to one thing; the 20-to-25 minute window of opportunity that traffic flow charts show passengers have in which to shop. But, increasingly consumers no longer shop in time windows. We are turning into a consumer-base that shops with its fingers rather than its feet, and Travel Retail has been slow to get onboard with e-commerce. This is now changing but, in a way, that risks further eroding Travel Retail's foundations. For the past year or so, Pernod has been working on 'Travel Trail', a GTR-led programme that attempts to catch consumers from the moment they book their travel, to the minute they get back home. By working with partners in the travel industry such as TripAdvisor, Pernod can, as the company's EMEA Travel Retail marketing director Jenny Shipton puts it, "get on their shopping list before they even get to the airport". The problem is, to succeed with this, suppliers must erode the traditional boundaries between GTR and domestic outlets. Pernod says its TR teams work closely with their domestic colleagues as the focus moves from airside to landside. But, with those boundaries gone, Travel Retail's very existence becomes little more than a historic anomaly, as out of place in the modern travel industry as smoking cabins and Pan Am. As e-commerce has blurred the lines between home and high-street shopping, so it will with Travel Retail and the domestic channel. Global travel has changed beyond recognition in the past 30 years, and GTR must be prepared to become a casualty. The channel will survive, but only in the same way Rome continued to exist after its power base collapsed. As a standalone empire, GTR as we know it will soon be a relic of the past.